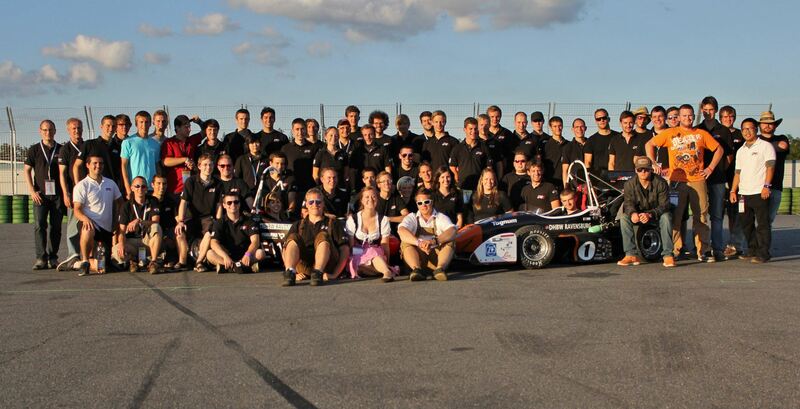 As the last competition for GFR in their 2012 season, 110 teams from 25 different nations gathered together at the Hockenhiemring in Germany. This year the attendance list promised to be especially challenging, filled with teams from all over the world who had won at 2012 or previous competitions. 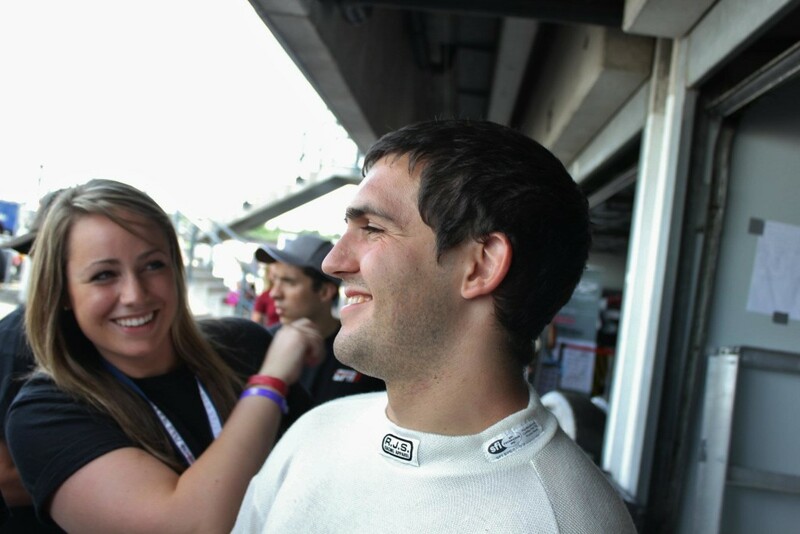 Coming off a win in Austria, Global Formula Racing was ready to go. 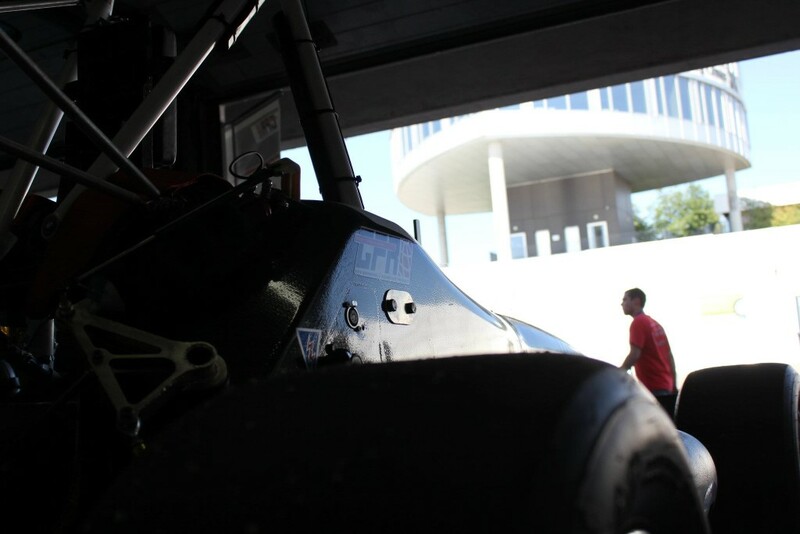 The team hoped to repeat their performance from last year and take first place in combustion. 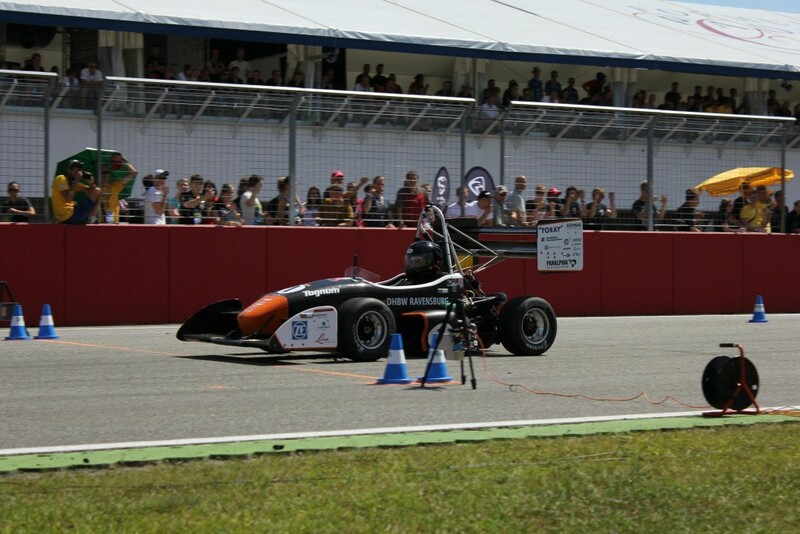 Also, the electric car was working towards solving their problems from FSA and was hoping to improve upon their performance from last year’s event. The gates opened to the Hockenhiem ring Tuesday July 31, allowing teams to begin filling up the pits and getting the cars prepped for tech inspection the next day. Wednesday the team spent getting through technical inspection. After a couple problems, the team passed. The next day was the start of static events for electric cars. The team jumped right into design where they explained to the judges the reasoning behind their design. The judges were very impressed and pushed the electric car to the final five. After design the team went immediately into cost report. Once again the eCar did really well and took 9th place for cost report. Later in the day the eCar team had business presentation. The business team went in strong, giving potential ‘investors’ a good reason to invest money into GFR. Once again the team did well and took 7th place putting them in the top ten for static events. While the electric car was busy with static events, the combustion car was finishing the rest of tech in be ready to start dynamic events. Friday was the static events for the combustion cars. Despite previous successes in design and cost, the team didn’t perform as well as hoped. The members of the team went to talk to the lead design and cost judges in order to figure out what had happened, so GFR could improve for the future. Business Presentation was next, and they performed very well. Placing in the top three pushed them forward to the business presentation finals, where they wold present in front of the entire audience later in the day. After the presentation they claimed 1st place. While the cCar was busy with their static events the eCar took part in a couple sponsor events, the Daimler award for Best E-Drive Packaging and the Bosch award for Best Power System. The team took 3rd place in both awards. With all the static events done it was time to start the dynamic events. The first event was the wet pad. This was a FSG specialty where they water down the skid pad area. The eCar went out first for GFR. After a few problems with the first driver, the second driver was able to up an impressive time claiming the eCar 10th place. The cCar was less fortunate, despite strong performances by drivers, the track was extremely slippery and the team only managed 23rd in the event the event. Saturday rolled around with Acceleration in the morning and Autocross later that afternoon. Once again GFR had the eCar go out first. As the green flag dropped, the eCar launched off the line like a rocket, setting a time of 3.581 seconds, .068 seconds off the leader Delft and 2nd overall for acceleration. The cCar managed to place 45th with the wings and single cylinder. Later inspection found an incorrect throttle setting, which was subsequently resolved. Later that afternoon all the teams moved over to the Autocross course. This year the course had been extended onto the actual Formula One race track. The drivers were excited to show the ability of the car on the new course. The combustion car was first of the two GFR cars on the autocross course. Despite starting off with a blazing pace, as the car came into the final stretch the value for the shifter bottle came loose forcing the cCar to take a DNF for its first run. The team quickly pulled the car into the pits to fix while the electric car took its turn out on the Autocross track. With the driver Pascal Basanow at the wheel, the eCar zipped in and out of turns. The came flying into the finish with a time of 82.469 seconds which put the eCar in 5th place. With a great finish by Pascal, the cCar team worked furiously trying to get the car in working order again. As the sun began the set a roar of a single cylinder engine was heard throughout the crowd. Matthias Woelfl pushed the car to its limits, which was exactly what was needed to set the best lap and claim 1st place in Autocross. Now the day everyone had been waiting was here, the day of endurance. The final event would be run on the same course as the autocross the day before. The running order was slowest combustion, electric cars, and then the fastest combustion cars. Since both cars placed in the top 5 in autocross they were the last ones out on the course. When the other electric cars finished the top 5 were released on to the course. The GFR electric started at of the gate strong but when it got to its second lap the car had a battery management system problem taking the car out of endurance. Matthias was the first driver out for the cCar. When he was on the track he continually set a faster time each lap. With a solid lead on everyone else Matthias pulled into the pits for the driver change. As Bill jumped in the car to start the second half of endurance, it became apparent the engine was not going to restart, with each crank it turned over slower and slower. Bill kept trying to restart until the battery quit completely, and the team’s dream of a podium finish at FSG died there. 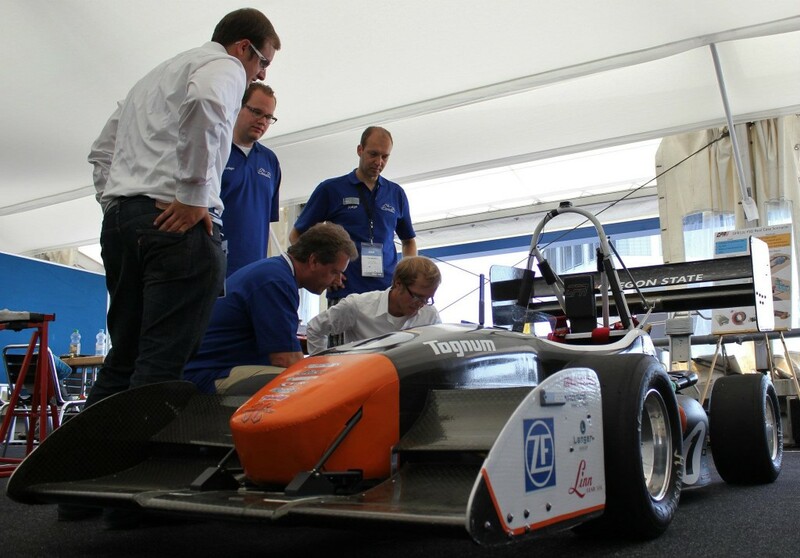 When all was said and done the competition went to the University of Stuttgart in the combustion class and Delft University of Technology in the electric class. While the overall results for GFR were not as good as hoped, the team did take top honors in cCar Presentation and Autocross. 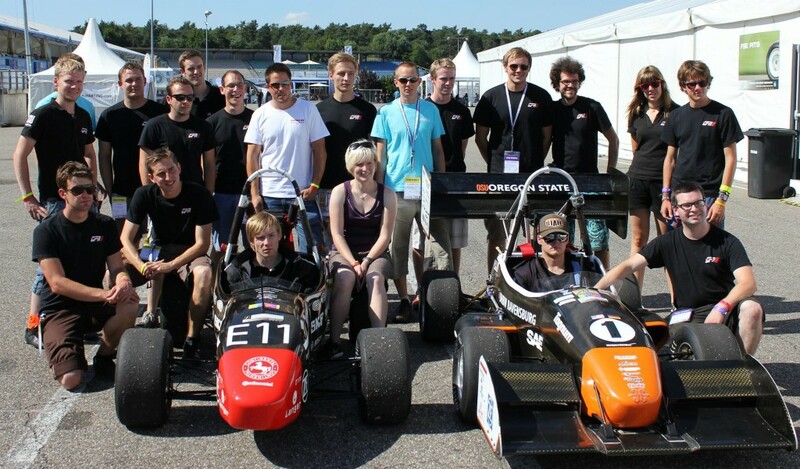 GFR has had a troubled history with Formula Student Germany – winning the event for the first time in 2011 – but the challenge remains motivation for the future. Despite these challenges 2012 was a season of breaking records for GFR, winning FSAE Michigan for the third consecutive year – the first time any team has done so in the event’s 31 year history, and winning Formula Student Austria for the 4th time in a row – a feat yet to be matched by another team at any event. Rest assured the team is already hard at work on the new cars – even as one of the world’s top teams every year brings new challenges, and 2013 will be no different.